"Creative biografiyaAleksandr fond of drawing since childhood, showing exceptional ability and easy to win prizes in contests and competitions on art, but did not think that this hobby would become his profession and calling. Born in 1959 in Moscow, the son of a military diplomat and military career was predestined for him since childhood. It just h"
Creative biografiyaAleksandr fond of drawing since childhood, showing exceptional ability and easy to win prizes in contests and competitions on art, but did not think that this hobby would become his profession and calling. Born in 1959 in Moscow, the son of a military diplomat and military career was predestined for him since childhood. It just happened. First, MAI (1977), then an officer in the service of the Armed Forces, studied at the Academy of Missile Troops them. Peter the Great, a promotion. And when it seemed that only the front of the stars and success, Alexander turning his fate. He retires from the army (1990) and the artist chooses a difficult path Montmartre Moscow - Old Arbat free, from which later came many famous talented painters. Favorite type of artist - urban landscape, the old forms of leaving Moscow, sometimes with elements of fantasy, Bulgakov motives. His works are in private collections in Russia and abroad. Series of works acquired Bulgakov Museum in Toronto. From October 2011. Member MOOOSKH Russia. Russian Art Week-2011 (Spring) 1st and 3rd place in the prefecture. "Landscape". ArtPreview-2011-finalist winner. Since 1991. 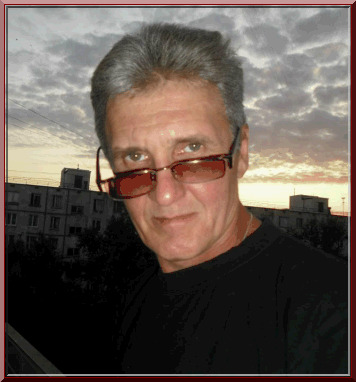 - Board member of PSNH (Professional Union of Independent Artists in Moscow), in 2011. - Member MOOOSKH TSKHR (Artists Union of Russia). Only after careful consideration you realize that all of Moscow Starodubova such very familiar and similar to the reality that is essentially the fruit of the imagination of the artist! Probably true that the pictures A.Starodubova like to buy Moscow officials and MPs ... His works were exhibited in numerous exhibitions and many of the paintings have found their way into various collections, both in Russia and abroad. A series of his works acquired, it is not by chance, Bulgakov Museum in Toronto far to illustrate the spirit of the visitors fabulously fantastic Moscow.